I've been wanting to visit Nono's ever since it opened mid last year. Knowing that it got a seal of approval from a very particular friend, I was sure that it will tickle my taste buds with glee. But it was hard for me to drop by as I don't frequent U.P. Town Center. 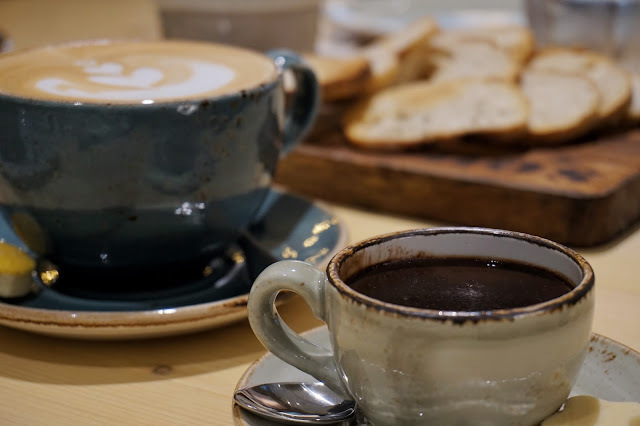 Thankfully, it opened another branch at a more convenient location last month-- Podium. It would be hard to miss Nono's at the new wing of Podium mall as it is located near the escalator. 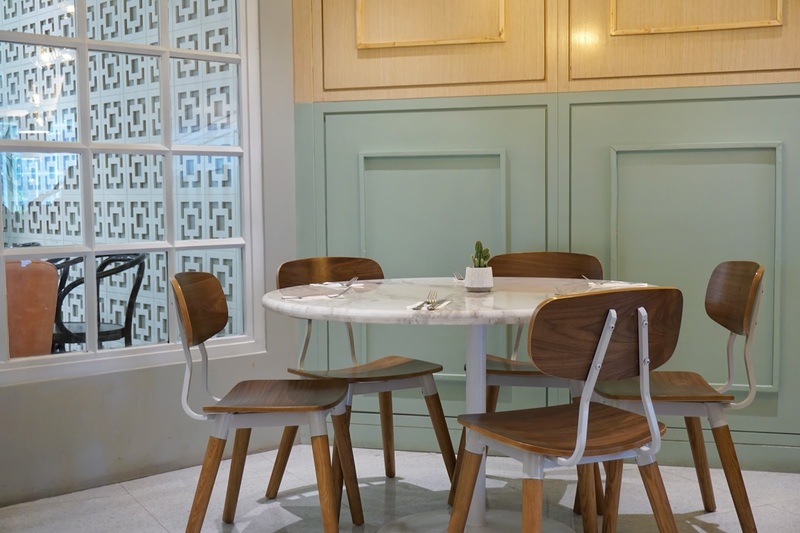 But even its eye-catching and dreamy interiors will make any Instagram-loving individual take notice of it. The place was half full when we dropped by. Since we were all still stuffed from lunch, we opted to go for snacks instead. 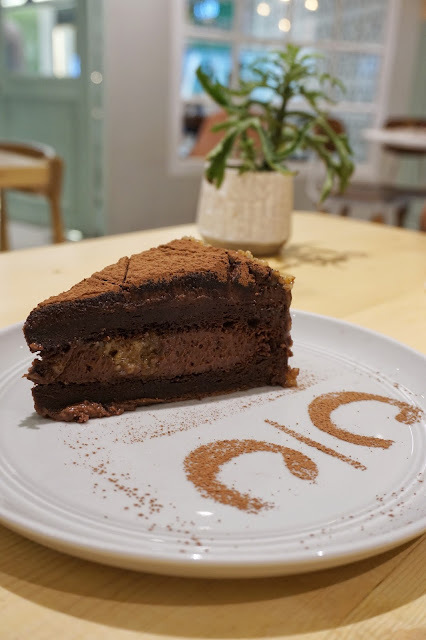 We tried Spinach Dip with Crostini (PHP255), Fried Truffle Cheese Wontons (PHP155) and Nono's Chocolate Oblivion (PHP155). 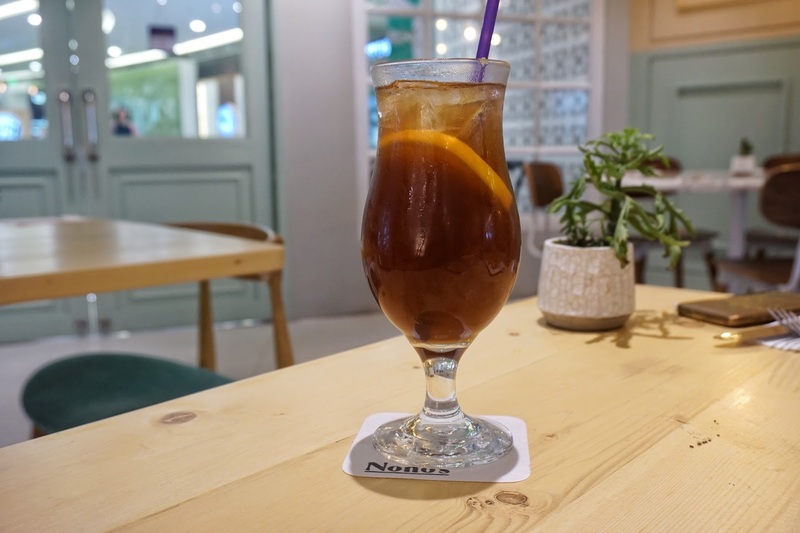 For drink, I had Nono's Iced Tea (PHP105). First served was my glass of iced tea. It was your usual house brewed lemon iced tea.It was a tad too sweet for my liking and I had to add water or wait for ice to melt to dilute it. Then again, it actually stretched the money I paid for my drink. 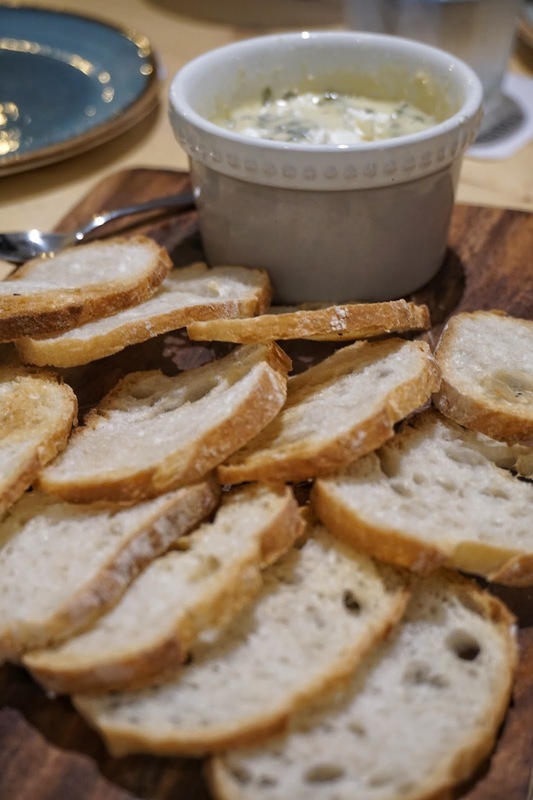 The Spinach Dip with Crostini was good. It was definitely creamy and there was a generous serving of spinach in the dip that gave it a more pronounced taste of Popeye's favorite vegetable. I found it a bit steep though considering its serving size. 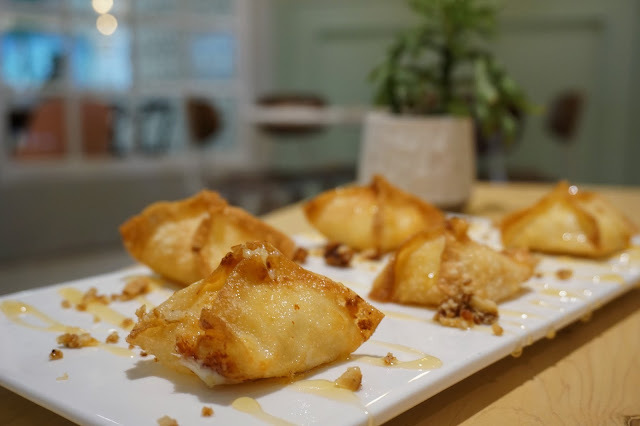 My expectations for the famous Nono's Chocolate Oblivion skyrocketed after indulging in the heavenly Fried Truffle Cheese Wontons. Sadly, it fell short. Don't get me wrong, the cake was great too. It was decadent and a chocolate lover's dream. 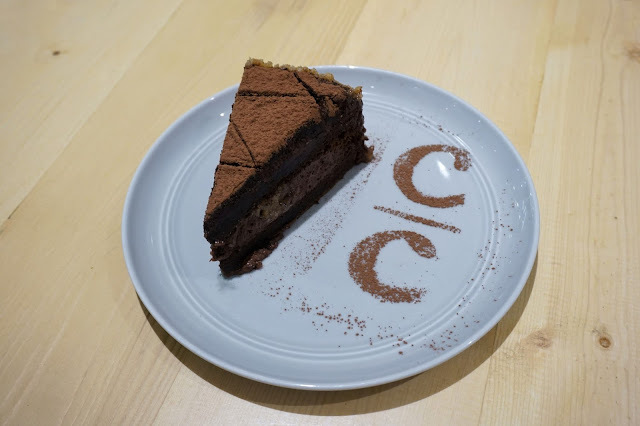 Each bite was rich thanks to its whipped chocolate cream sandwiched by two airy layers of chocolate cake topped with cocoa powder and to die for walnut, praline bits and caramelized toffee for crunch. But I couldn't help myself compare it with other chocolate cakes I've had before. And this slice of heaven, though good, was not the best I've had. I'll definitely be back to try the other savory dishes. I heard that its fried chicken is well executed. I'll go with that next time. Nono's is located at 2nd Floor, Podium, ADB Avenue, Ortigas, Mandaluyong City.